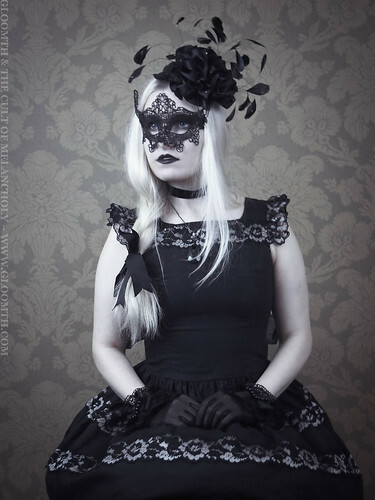 From my large photoshoot with model Azura Rose comes this very Gothic themed series! The gorgeous feathered headpiece was provided by the very talented Taissa Lada. Her etsy store is full of gorgeous pieces perfect to finish off your looks. Azura wore our “Seance” dress in these photos with vintage gloves, wrist cuffs, and big platform boots. You can see the entire album of these photos on flickr! Thank you to Azura for modeling for these and thank you to Taissa Lada for the beautiful headpiece. ← New “Demonic Dreams” Photoshoot!